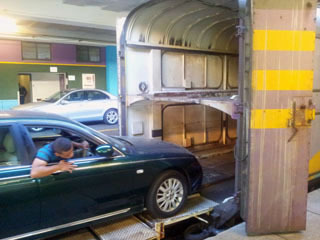 Shosholoza Meyl offers car transport services for private cars, 4x4s and SUVs on rail routes Johannesburg -Cape Town, -Port Elizabeth and -Durban. Cars are transported on dedicated car rail coaches attached to Tourist Class and Premier Classe long distance sleeper trains. Booking your car is easy! Simply complete the booking form and we will Email a quotation, confirming availability, delivery / collection times, timetable and rates. 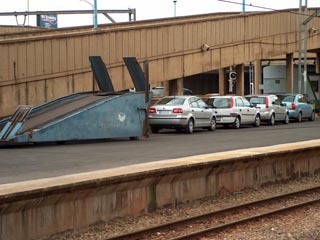 Cars exceeding 1.4m height, such as a Clio 3, Yaris, Smart, Atos, Getz, Jazz,...are transported in SUV-car transport rail coaches, attached to Tourist Class and Premier Classe trains. 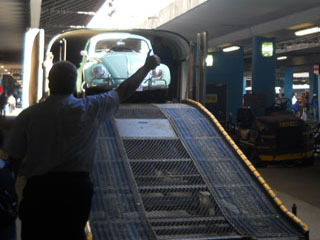 4x4's, SUV's, Bakkies, small bakkies with canopy, Kombis, Estate cars (over 1.4m and up to 1.9m height) are transported by rail on Tourist Class and Premier Classe trains. Great Deal ✔ Discover our affordable Cape Town Train Tour-Accommodation-packages. Read more! Car transport coaches are attached to Tourist Class and Premier Classe long distance sleeper trains. Pre-booking is essential, the transport service is very busy. 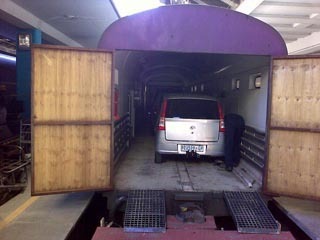 Sedan and SUV cars are transported on route Johannesburg - Cape Town 4 x p/week and Johannesburg - Durban once p/week. Cars up to 1.4m height are classified as sedan, cars over 1.4m up to 1.9m height are classified as SUV. 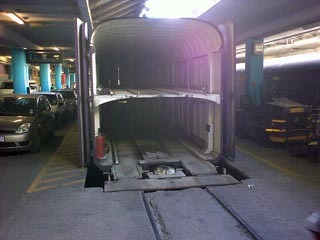 Cars must be in a driveable condition to be loaded. 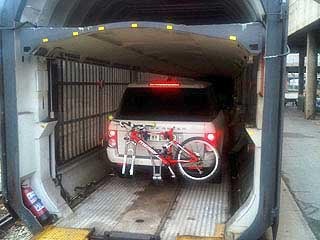 Roof racks, bicycle racks, roof tents, tow bar racks and/or any other attachments to the car will have to be removed. Height, length, width, clearance and/or any other alterations done to your car, will influence the ability to transport the car. 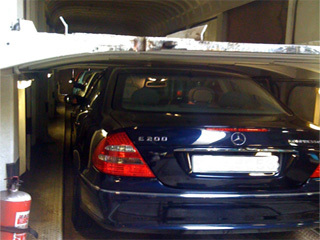 The keys are kept with the car and returned to you together with your car at the destination. 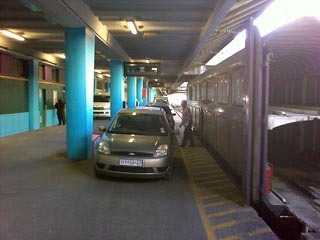 Cars can only be loaded and off-loaded at the Johannesburg, Cape Town, Port Elizabeth and Durban train stations. 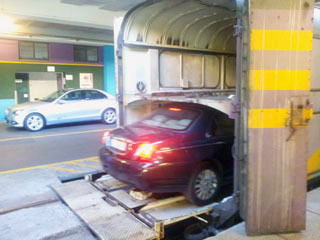 To book, please click here and complete the "Car Transport Bookings" section in detail.